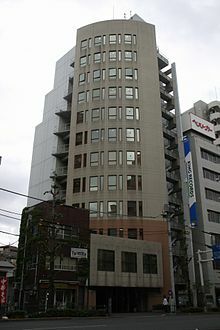 King Record Co., Ltd. (キングレコード株式会社, Kingu Rekōdo Kabushiki gaisha) is a Japanese record company founded in 1931 as a division of the Japanese publisher Kodansha. It initially began operating as an independent entity in the 1950s. It later became part of the Otowa Group. Today, King Records is one of Japan's largest record companies which is owned by a multinational entity. The headquarters for this record label are in Tokyo. Its Starchild label, managed by animation producer Toshimichi Ōtsuki, specialises in anime music and film. King Records also distributes the Up-Front Works–owned and –operated labels Piccolo Town and Rice Music, and also released video games for the PC-88, Famicom, and MSX2 computers. On February 1, 2016, King Records restructured Starchild and renamed it King Amusement Creative. Paddle Wheel Records is a division of King Record Co.
You! Be Cool is the official sub-label for AKB48. Venus-B is the company's official urban music imprint. Evil Line Records is the label's new division, established on April 2014, and comprises artists like Momoiro Clover Z and Meg, among others. Nexus is the label's division especialized for metal/underground music from Japan also overseas. Notable artists in it label are Earthshaker, etc. Seven Seas is the label's division focusing world music from overseas artists in many genre. Jan Linton (as dr jan guru) "Planet Japan"
^ "Starchild Label Restructured as King Amusement Creative". Anime News Network. January 30, 2016. Retrieved March 7, 2016. ^ "New York Unit – Now's the Time" (CD liner notes). Paddle Wheel Records. KICJ 108. This page was last edited on 15 February 2019, at 11:43 (UTC).